Home » WRP Ed Zone » Luminar … More Than Just Something New! Luminar … More Than Just Something New! You’ve probably received the email and said something like, “Oh, something new for the digital darkroom” and then deleted the email. I’m here to tell you, that might was a BIG mistake because Luminar available today has at least ONE thing you need to own! 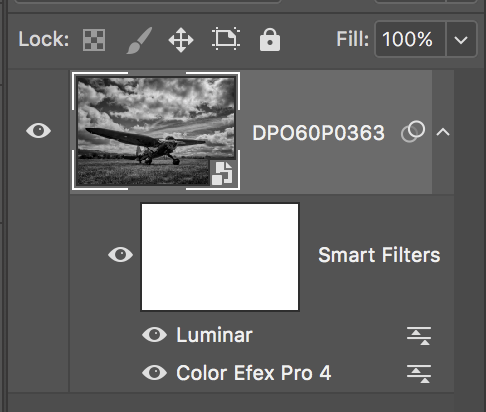 My challenge is to explain all that Luminar from MacPhun is all about in a blog post, and I can’t. You’re going to want to head to here after reading this post to at the very least learn more but let me tell you why you’re going to do that. What is Luminar? You might rightfully so think Luminar is a stand alone Raw file processor because it is. What you won’t understand until you start to work with it is that it’s a Raw file processor with layers, effects and so much more. And it not only works its magic on Raw files but you can use it on layered PSD files, that’s right, PSDs. To understand how all of that works, you need to watch the videos on the MacPhun site. The potential here alone is worth the price but I’m excited by another feature of Luminar! With a simple click, you can make Luminar a plug-in that works within Photoshop. Why would you want to do that? Great Question, let me show you! 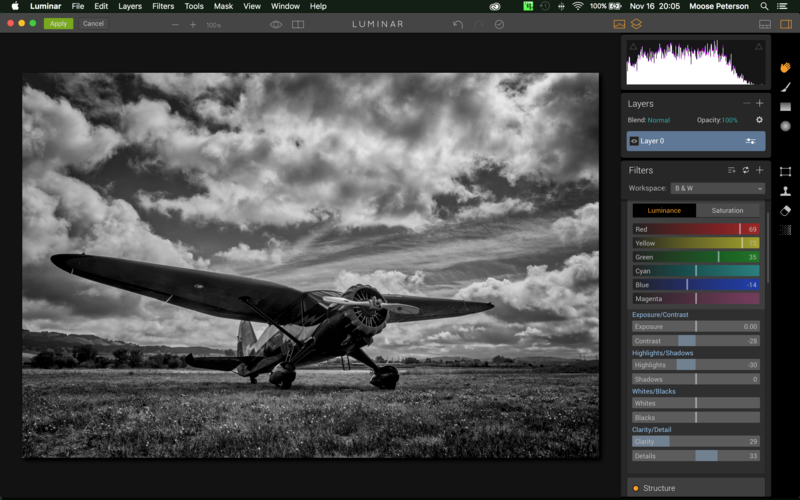 This one feature of Luminar is more than worth the price of the app, its Black & White engine! It is hands down the best B&W engine I’ve even used and I’m all over it! 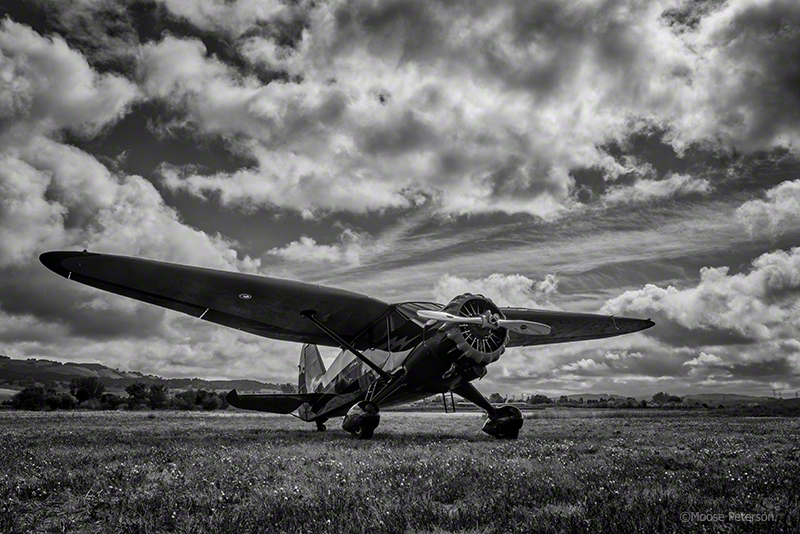 What you see here is just a HINT of all the controls you have to quickly and easily convert your images to B&W. You can create presets which I highly recommend cause with a simply click, you have a gorgeous B&W. And as you can see, they work with your Smart Objects. I regret I have just this most cursory tease preview of Luminar to share with you because there is so much more. But I’ve always promised to share with you my advances in B&W processing and this is my current love. 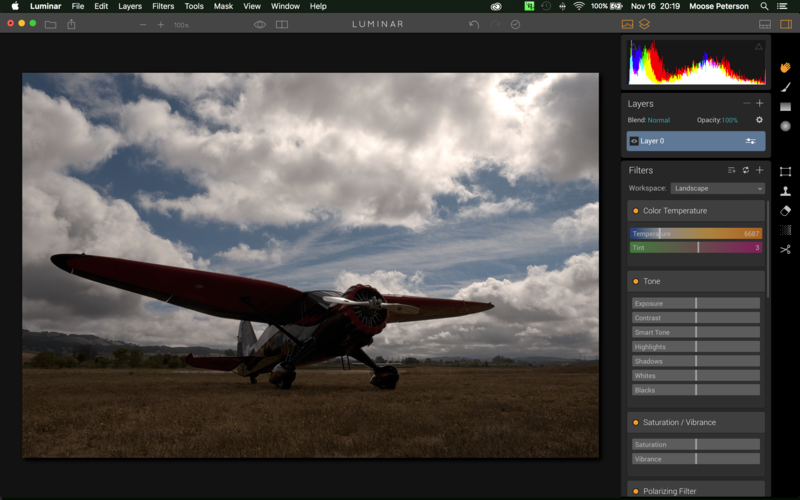 Luminar is available today, check it out!